I got engaged in March 2018 and booked the venue almost straight away for June 2019 (so soon!). I was advised to start shopping for my wedding dress as soon as possible. 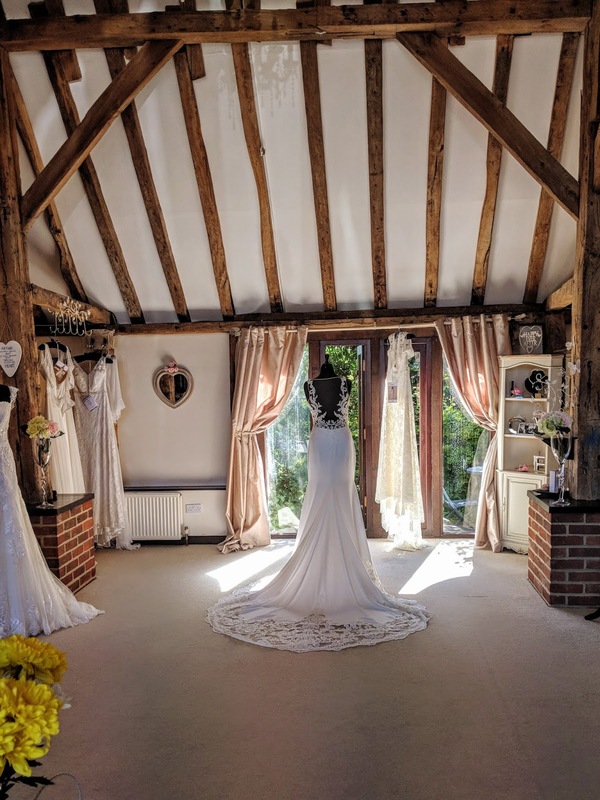 I have a few friends who chose their dress from Anya Bridal Couture in Wickham, Hampshire - they said it's a huge barn full of every dress you could imagine, and as you could imagine that grabbed my attention. I had previously looked in two small boutiques, but found their range was too limited so I was excited to be able to have a lot of choice. I booked in to see the team in late June 2018 and went on a boiling hot Saturday morning with my lovely Mum. I was met by lovely Jayne who looked after me throughout the process. I had no idea what kind of dress I wanted, so I went in with an open mind. Jayne gave me a basket full of pegs to pop on the dresses I liked, and away I went, clip clip clip! After I was done, I sat down with a cuppa and Mum and I had an excited gossip while we waited for Jayne to grab all the dresses and bring them through into my private changing area. This was basically a whole room with a curtained off changing area, and then an area for standing in front of a mirror on a pouffe with sofas all around for guests. This was just the no lace ballgown range! I was taken into the changing room, and Jayne handed me the first dress, all unbuttoned and ready to go. The lovely thing about the dresses they stock is they are so beautifully made you don't need a bra so you can really see the effect of a strapless or backless dress without having to pack the perfect bra! I was zipped in and walked through the curtains to stand on the little pouffe. All the dresses are very long so this was necessary. Jayne then clipped the dress to make it my size so I could see what the real one would look like. I'd have a little twirl around, stare at the mirror and say yes or no. If it was a yes or maybe, Jayne grabbed a bunch of accessories like veils and belts to help me see how it would look on the day. I was given all the time I wanted to be indecisive, try on every veil and accessory in the shop and the best thing was I was allowed to take photos of me in the dresses! I discovered that lots of shops didn't allow this, which made no sense to me. It's such a big decision of course I wanted to trawl through photos to see how I looked from all the angles! In the end, I chose my dress - the one - from Anya Bridal. Obviously I'm not going to share it on this post though. All I can say is it's stunning. I absolutely adore it! Strangely, it's the total opposite of what I thought I'd want when I first started shopping, so I'm pleased I tried on lots of styles. It's classic and very "me". Once I had chosen my dress, I got measured so Jayne could order the right size. It turns out wedding dress sizes are very odd - I was a size 4 bust and 10 waist and hips! (normally I'm just a plain old 8). Despite taking a long time to order, they don't come in custom sizes so we had to pick one. I ordered a size 10 because I was advised to go with the bigger size as it was easier to have parts taken in to fit me. My dress was then ordered and Mum paid half to order, and the other half on collection. Fast forward to January 2019 and I received a call saying that my dress had been delivered. It felt like a lifetime to wait, and I was so anxious that it wouldn't fit me, or that it wouldn't suit me. Thank goodness Mum took lots of photos of me in the sample dress so I could repeatedly check that I still loved it! I was again shown into a private changing area where my lovely dress was waiting for me, like an old friend! I was helped into the dress and got to try on lots of accessories again to help me pick how I was going to accessorise on the day. I ended up choosing a belt and veil at Anya which was ordered in for me (they take about 2 weeks so less of a rush to order). I now have my dress home. Well, it's at Mum's house because I know if I had it at mine I would be wearing it every day and I'd get foundation on it or something! We've got the seamstress booked for later this month to have it altered to fit like a glove and I can't wait! Of course I'll share photos (@laurenlovesblog on Instagram) and a blog post when I get married so you can see what I picked. 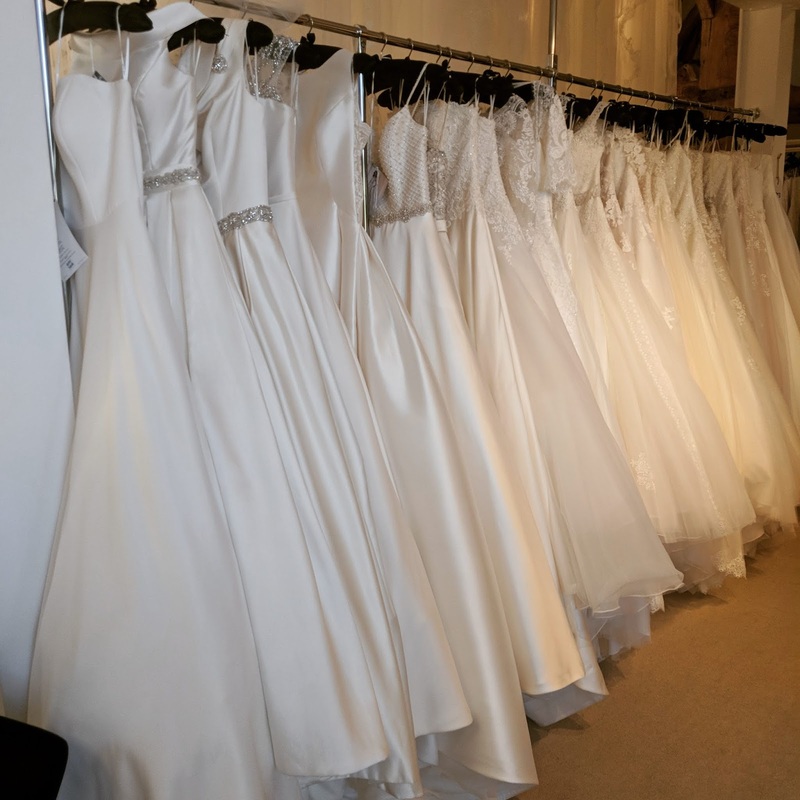 - Start by following local wedding dress shops on Instagram to see what they all have in, and what their styles are like. @anyabridalcoutureuk is full of lots of lovely inspiration and real wedding photos. 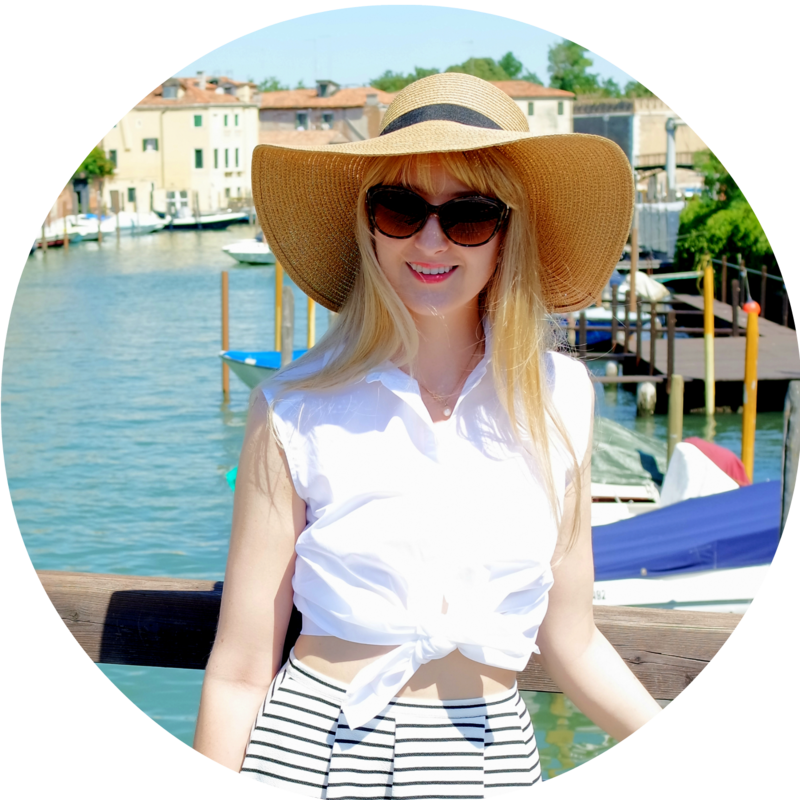 - The dresses in the shop are all sample sizes so you're unlikely to try on the size you want. This means you need to have a little imagination. They'll do their best to make it look fitted from each angle, but the sizes can be way off. - Take someone who is totally honest and don't take too many people. For me, only my Mum can say something critical without me taking it the wrong way but that's just me! I also didn't want to bring friends because I really believe that too many opinions are confusing. - Try on one of every style of dress. You may be surprised about what suits you. Once you know what silhouette you like, you can try on all the ones in that style to find "the one". - It's ok if you don't cry, and it's ok if you do cry! Crying does not mean it's the one. My Mum cried at the first dress I tried on, yet when I tried on the one I chose, we both agreed it was the best dress and she didn't cry! I never cried at all because I'm a stone cold, heartless chic! - Don't feel you have to say yes to the dress on the day - there was no pressure from Jayne or the team to buy anything. - Once you've chosen your dress, don't carry on looking at dresses. Your dress is perfect and you picked it for a reason. Dress doubt is horrible.